Saturday, Sept. 22: The cyclists will use State Route 1 from San Mateo County to the City of Santa Cruz. Sunday, Sept. 23: The cyclists will use State Route 1 from the Santa Cruz Beach Boardwalk in to Carmel in Monterey County. Monday, Sept. 24: The cyclists will use State Route 1 from Carmel to Big Sur in Monterey County. Wednesday, Sept. 26: The cyclists will use Highway 1 south from Cambria to Oceano in San Luis Obispo County. Thursday, Sept. 27: The cyclists will use State Route 1 from Oceano, State Route 166 from Guadalupe and State Route 1 towards Orcutt before crossing State Route 154 west of Los Olivos before arriving in Buellton in Santa Barbara County. Friday, Sept. 28: The cyclists will use State Route 246 from Buellton and US 101 through Santa Barbara to Ventura County. In addition, the southbound #2 (right) lane of US Highway 101 at the Arroyo Quemada Bridge in Santa Barbara County will be closed on Friday, Sept. 28 between the hours of 8 am and 12 noon to allow the cyclists to safely proceed where the shoulder width is narrow. Law enforcement and ride officials will be located along the route to ensure the safety of motorists, participants and pedestrians. Motorists are advised to be aware of the riders as they move through the area and to ‘Share the Road’. 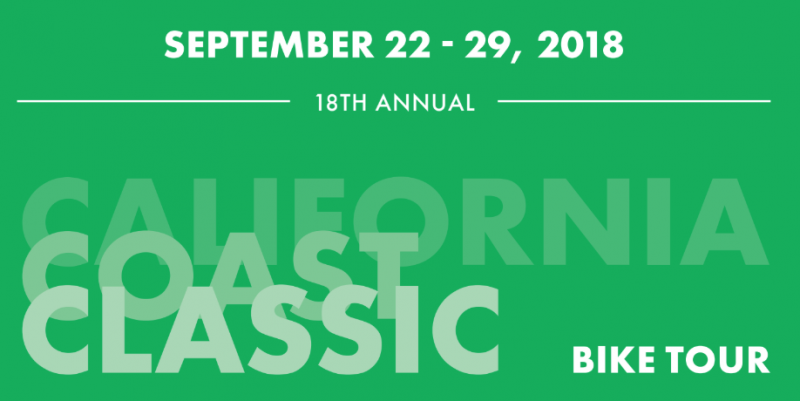 More details about the Arthritis Foundation’s California Coast Classic Bicycle Tour can be found here.